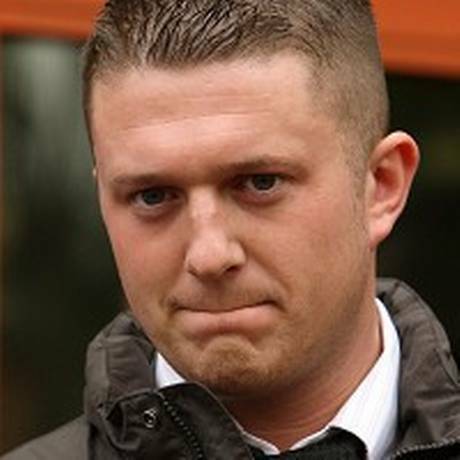 The leader of the EDL , Stephen Lennon, has been sentenced to ten months in jail for using a friend’s passport to illegally enter the USA. Lennon was convicted in Southwark crown court for his actions; he was able to go through self-check in at Heathrow but was stopped at customs in JFK airport when officials realised his fingerprints did not match those of the passport he was using, Andrew McMaster. Lennon then left the airport, not going to his second interview, and entered the US illegally (ostensibly to attend a right-wing conference against Islam) returning to the UK the following day with his own passport. The court heard that Lennon had previously been denied into the US using his own passport. Possibly the most interesting part of this story is the confusion raised about Lennon’s identity. He often goes under the pseudonym Tommy Robinson, but also has a passport under the name of Paul Harris. This is not the first run in with the law that Lennon has had. He has previously been arrested for indecent assault on a police officer who was attempting to break up an altercation between Lennon and his partner. He has also had other charges brought against him, including drug and public order offences. “You knew perfectly well that you were not welcome in the United States. You knew that because you tried before and you had not got in, and you knew the reason for that – because, rightly or wrongly, the US authorities do not welcome people in their country who have convictions of the kind that you have.